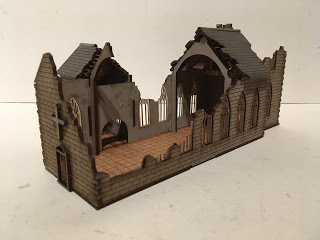 from where image below borrowed or see https://www.empiresatwar.co.uk/default.html for extensive 10mm, 15mm, 20mm and 28mm building kits. Looks from the pics like this is "pre-painted" in the same sense that the 4Ground stuff is. It's a basic undercoat really, and you'll probably want to tart it up a bit yourself.